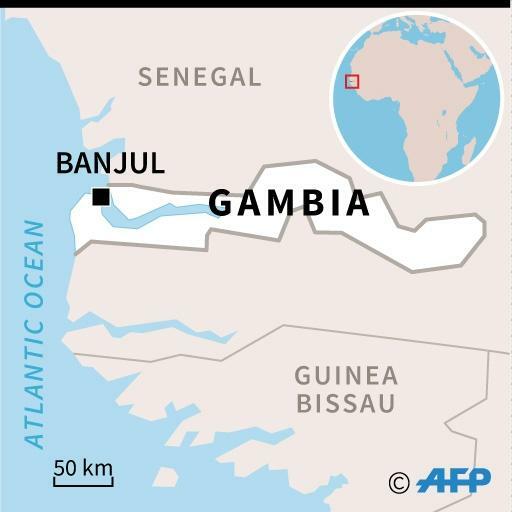 Banjul (Gambia) (AFP) - Four African heads of state landed in The Gambia on Tuesday with a mission to persuade President Yahya Jammeh to leave office, as the country's election commission was locked down by police. Jammeh's party has vowed to challenge the result of a presidential election in court, unleashing an avalanche of calls at home and abroad for him to cede power to opponent Adama Barrow, who was officially declared the winner. After arriving in Banjul, Nigeria's Muhammadu Buhari, Liberian leader Ellen Johnson Sirleaf, Sierra Leone's Ernest Bai Koroma and Ghana's outgoing President John Mahama convened at a luxury hotel before heading for talks with Jammeh around 1330 GMT. They were to be joined later by UN West Africa envoy Mohamed Ibn Chambas, whom Jammeh has refused to meet on several occasions in the past, a spokesman confirmed to AFP. Jammeh sent his deputy Isatou Njie-Saidy to meet the delegation on the tarmac, reportedly due to security fears for the longtime leader's safety. "We hope we can talk and that the will of the people will prevail," President Sirleaf, who heads the delegation, told journalists after arrival. Nigerian foreign minister Geoffrey Onyeama said his side was "hopeful" and going into talks with "no preconditions". After meeting Jammeh the African leaders will hold separate negotiations with Barrow, several sources told AFP. Influential opposition coalition members were gathering by afternoon in preparation for their round of talks, and were confident of a breakthrough. "Remember President Buhari is from the military. Jammeh is from the military. I think that will make a difference," said Hamat Bah, a senior coalition official. Up until now the president of the tiny country of fewer than two million people may have exasperated his regional peers but has never threatened peace in the sub-region, a situation that has dramatically shifted since Jammeh's move to void the election. In a sign that Jammeh may be serious regarding a legal dispute over the vote, the staff of the Independent Electoral Commission (IEC) were locked out of their premises on Tuesday, their chairman told AFP. "I went to work this morning, but personnel of the Police Intervention Unit (riot police) did not allow me to enter the headquarters," IEC chief Alieu Momar Njie told AFP. No reason was given, he added. The premises remained locked down and surrounded by police by early afternoon. A readjustment of the votes counted in the election was made by the IEC on Monday last week, reducing the number of ballots for all three candidates but ultimately confirming Barrow's victory. Meanwhile Gambian army chief Ousman Badjie seemed to reverse a previous declaration of support for Barrow and arrived at delegation preparation talks wearing a badge that featured Jammeh's face on his uniform. Badjie said he supported the "commander in chief, President Yahya Jammeh" in brief comments to journalists. This followed comments by the US ambassador to the UN, Samantha Power, warning that The Gambia faced "a very dangerous moment" if the military continued to side with the president. If Jammeh and the delegation does not reach an agreement, west African states would "contemplate more draconian decisions", a top official with the regional ECOWAS bloc headed by Sirleaf told French radio station RFI late Monday. Despite the IEC incident, Jammeh's party had not filed a complaint with the Supreme Court on Tuesday, thought to be constitutionally the last day possible to contest the election result, but they have until 6pm to do so. A group of the country's most influential lawyers has said there is "no legitimate legal mechanism available in The Gambia to hear and determine the election petition", as Jammeh would have to stuff the court with his own appointees. The legal body has lain dormant since May 2015 as Jammeh himself sacked many of its judges. 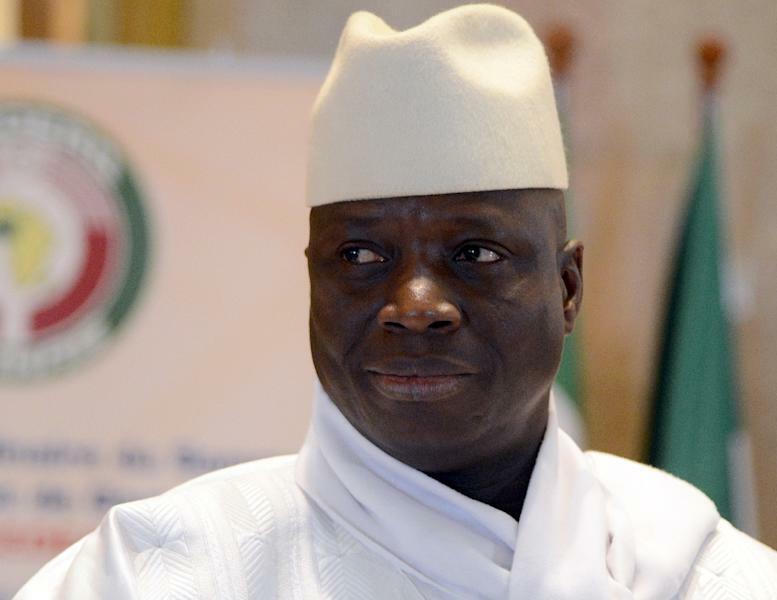 Jammeh has led The Gambia for 22 years since taking power in a coup. 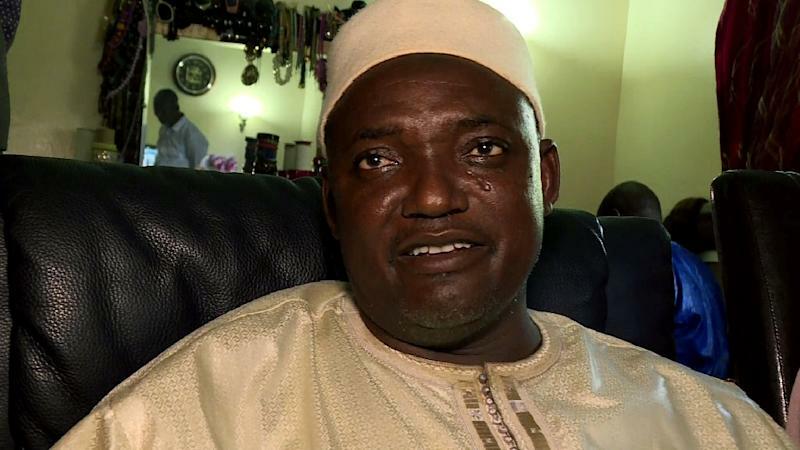 President-elect Barrow has told AFP he wants Jammeh to step down "now", though the longtime leader has the legal right to stay in office until mid-January. The African Union has also promised to dispatch its own delegation as soon as possible to aid the transfer of power, while a statement released Monday said it rejected "any attempt to circumvent or reverse the outcome of the presidential election."